This course is designed to show you how an easygenerator course is constructed. It contains 5 learning objectives, each learning objective contains some questions and has attached learning content. From this content you can generate a quiz, an exam or a course by selecting another template. You don't have to change anything in the content for that. Just click on the design tab, select the correct template (Quiz, Exam, or "Simple course'. Go to the tab 'Publish' and press 'Publish this course online'. Click the 'open link' button to view the result. If you have any questions, please contact us via [email protected]. 1. At the end of this lesson, you will be able to outline several facts about the Soap Lake Lava Lamp (Knowledge Level). This section of the lava lamp course will take you through some of the facts on the lava lamp, it's inventor Brent Blake and the history of the lava lamp. What was Blake Brent’s occupation before he moved to Soap Lake? Watch the video below for more information about Brent Blake, the creator of the Soap Lake lava lamp. Name the two reasons why the Soap Lake Lava Lamp was created? 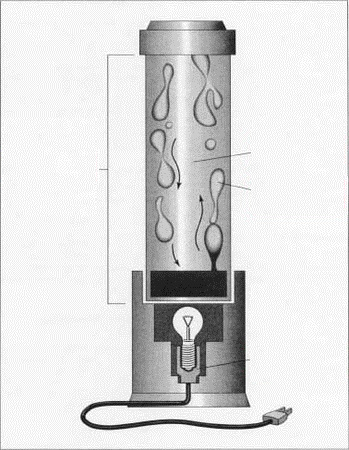 Why was the Soap Lake Lava Lamp conceived? The Soap Lake lava lamp was conceived to remind people of the huge prehistoric lava flow that shaped the region. Soap Lake is surrounded by lava rock. The lamp's soothing, curative qualities are similar to the qualities in the lake's water. In the past, people with ailments including arthritis and psoriasis came to the Soap Lake spas for treatments. Watch the movie below to learn more about the Soap Lake history. Soap Lake is the American base of the Mathmos company. The designer Brent Blake has been one of the lead designers at Mathmos for years. The lava lamp would remind people of the huge prehistoric lava flow that shaped the region. The lamp's supposed soothing, curative qualities should bring to mind similar qualities in the lake's water. This is a multiple select question. Two of the options are correct. What is the principle function of the Soap Lake Lava Lamp? The Soap Lake Lava Lamp is a technically advanced structure incorporating fabric tension, high efficiency solar cell, and advanced laser projection technology to mimic the random, fluid, bubble-like "lava" forms universally associated with the classic Lava Lamp manufactured by Lava Lite LLC. The laser projectors have the capability of projecting a wide variety of images via rear screen projection onto the enclosing weatherproof fabric scrim fabricated from Tenara architectural fabric by SEFAR. This remarkable fabric is woven with durable fibers developed by W. L. Gore (manufactures of Gore-Tex). The principal function of the Lava Lamp will be one hour "performances" beginning at dusk every evening and cycling through a complete event. The event would begin with a slow, rolling effect of the lava solids as they appear to slowly heat, shift, and position before transforming into the world famous shape mutations, gently rising and falling for several minutes then eventually subsiding and returning to rest at the bottom of the lamp until the next showing. Through the night a soft, warm glow would be visible until daybreak when the sculptural form will stand quietly alone in preparation for the next nightly "event." The Lava Lamp will also be used for special events and seasonal showings. Customized thematic programs will be developed for holidays and for special interest groups such as the Ice Age Floods Geologic Trail, Coulee Corridor National Scenic Byway, the Audubon Society's Great Washington State Coulee Corridor Birding Trail, Soap Lake Conservancy, Soap Lake Heritage, the Colville Indian tribes, and others. Seasonal shows will be available to enhance local town celebrations and activities such as Winterfest, New Year's, 4th of July, Lava Love Run, Smokiam Days, and others. It is anticipated visitors will be inclined to have a meal, stay overnight, visit other area attractions, and return often to see new showings. The technology is such that no two showings will be the same. A lava lamp has showings with a slow, rolling effect of the lava solids as they appear to slowly heat, shift, and position before transforming into the world famous shape mutations, gently rising and falling for several minutes then eventually subsiding and returning to rest at the bottom of the lamp until the next showing. What is the interval of these showings? When was the opening of the Soap Lake lava lamp? Listen to the New Disruptors podcast from November 2013 for an interview on the Soap Lake lava lamp. 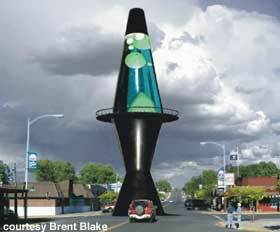 The Soap Lake lava lamp project hasn't been realized yet. Which two of the following facts apply to the Soap Lake lava lamp? In this course we will give some explanation why we did things in a certain way. This info is added in separate pages. Please note that we use these content items just for introductions and extra info. In easygenerator you should add the primary learning content directly to the question. The template you will choose for the course will determine how it is displayed (questions only (like in exam), or first the content and than the question on that content (like in the Simple course template. Creating e-Learning is not the same as creating a presentation in PowerPoint. So the worst thing you can do is to create a whole bunch of content items and that is it, that doesn't make your content into a course. The goal is not to put in as much info as possible, but as little as possible. When you only add content to questions, you have the guarantee that there is no content that is not connected directly to the learning goal. Making your course shorter and more effective for the learner. Do you know the four main elements of the Lava Lamp? Pour the water into the bottle. Use a measuring cup or funnel to slowly pour the vegetable oil into the bottle until it's almost full. You may have to wait a few minutes for the oil and water separate. Add 10 drops of food coloring to the bottle (we like red, but any color will look great.) The drops will pass through the oil and then mix with the water below. Break a seltzer tablet in half and drop the half tablet into the bottle. Watch it sink to the bottom and let the blobby greatness begin! To keep the effect going, just add another tablet piece. For a true lava lamp effect, shine a flashlight through the bottom of the bottle. To begin, the oil stays above the water because the oil is lighter than the water or, more specifically, less dense than water. The oil and water do not mix because of something called "intermolecular polarity." That term is fun to bring up in dinner conversation. Molecular polarity basically means that water molecules are attracted to other water molecules. They get along fine, and can loosely bond together (drops.) This is similar to magnets that are attracted to each other. Oil molecules are attracted to other oil molecules, they get along fine as well. But the structures of the two molecules do not allow them to bond together. Of course, there’s a lot more fancy scientific language to describe density and molecular polarity, but maybe now you’ll at least look at that vinegrette salad dessing in a whole new way. When you added the tablet piece, it sank to the bottom and started dissolving and creating a gas. As the gas bubbles rose, they took some of the colored water with them. When the blob of water reached the top, the gas escaped and down went the water. Cool, huh? By the way, you can store your "Blobs In A Bottle" with the cap on, and then anytime you want to bring it back to life, just add another tablet piece. Does the temperature of the water affect the reaction? Does the size of the bottle affect how many blobs are produced? Does the effect still work if the cap is put on the bottle? Does the size of the tablet pieces affect the number of blobs created? Single Choice When you want to check a single fact you will use single choice. Only one option will be correct. But bear in mind that a Single choice question will be as good as your distractors (the wrong options) are. Multiple choice When you want to check multiple facts at once you will use Multiple choice. Be careful not to add to many answer options, that can be confusion to the learner. Single choice image It is the same as single choice, but now you will use images instead of text. Ideal if you want the learner to recognize something. 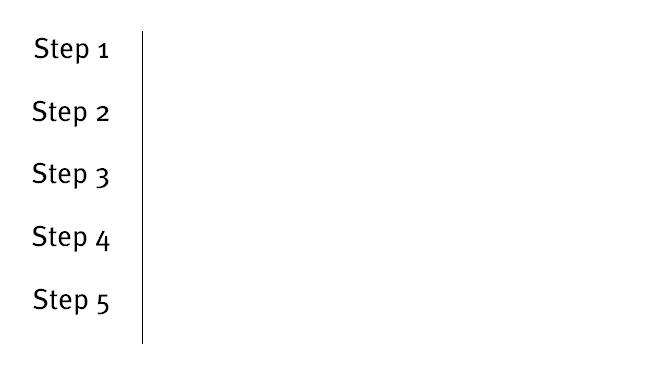 Fill in the blanks This is a really important question type. It has two options. One is that you can add a drop list, the second one is that the user has to type in an answer. The power of the last option is that the answer is not on the screen. The user has to come up with the answer himself. This means that you can use this to test the active knowledge of the user, most other question types will test the passive knowledge. Text matching When used correctly this question can test a bit more than just knowledge, it can test insight as well. If a learner has to be able to name components in an image (elements of a machine, stars in the galaxy), this is the question type to use. Be careful sometimes the image does not give you enough space to place all text on it. 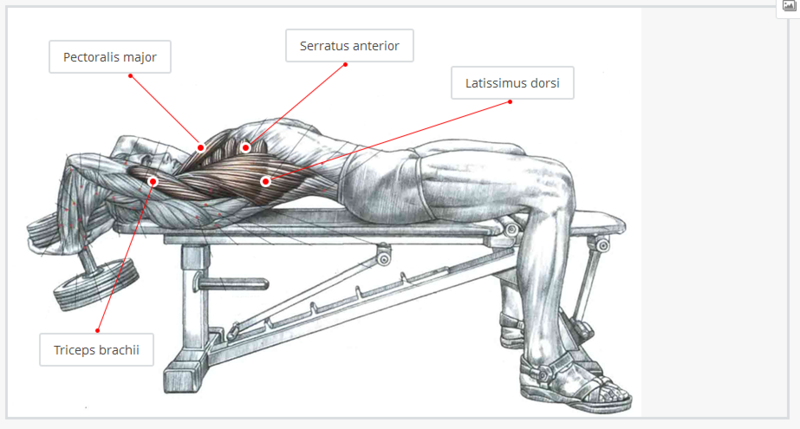 In that case edit the image and ad lines or arrows from the outside of the image to the elements the learner has to name, that will give the learner more overview. Statement You can present a list of statements and the learner has to indicate if the are true or not. Hot spot As an author you can indicate one or more hot spots. The learners has to find these. To make the course more attractive for the learner. Each question type will add a different form of interactivity to your course. Each question type has his own purpose, you can test different things with it. The companies Crestworth and Mathmos, that first developed the lava lamps invented by Edward Craven-Walker, were founded in what years? The “Astro” and “Astro Baby” were the first two lava lamps launched in 1963 and 1964 respectively. Edward and his wife Christine Craven Walker ran the business very successfully from 1963 on through the 1960s and ‘70s. Edward and his wife Christine Craven Walker wanting to retire teamed up with young entrepreneurs Cressida Granger and David Mulley in 1989. Over a period of years Granger and Mulley bought the business from the Craven-Walkers and successfully launched the lava lamp to a new generation. Part of the relaunch included changing the company name from Crestworth to Mathmos in 1992. The word Mathmos is taken from the cult 1960s film Barbarella. Millions of lava lamps were manufactured in Dorset in the 1990s and sold throughout the world gaining a host of business and marketing awards including two Queens Awards for Export. What are the names of the two companies that developed the lava lamps invented by Edward Craven-Walker? The “Astro” and “Astro Baby” were the first two lava lamps launched in 1963 and 1964 respectively. Edward and his wife Christine Craven Walker ran the business very successfully from 1963 on through the 1960s and ‘70s. Rights to several countries including the US were sold in the 1960s for the duration of the patents, these expired with the patents in the 1980s. Which 2 alternative names do you know for a lava lamp? Mr. Craven-Walker originally developed the lava lamp from a design for an egg timer he saw in a Dorset pub. Taking years to develop the formula original models were made with orange squash bottles and the first lava lamp came to market in 1963. The name lava lamp originates from the fact that appearance of the wax is suggestive of Pāhoehoe lava. Another, more technical name is liquid motion lamp. The “Astro” and “Astro Baby” were the first two lava lamps launched in 1963 and 1964 respectively. They were an instant hit and became one of the defining products of the swinging ‘60s appearing in cult TV series ''The Prisoner" and "Dr.Who". Edward and his wife Christine Craven-Walker ran the business very successfully through the 1960s and ‘70s. Rights to several countries including the US were sold in the 1960s for the duration of the patents; these expired with the patents in the 1980s. What were the names of the first two lava lamps that were launched in 1963? The “Astro” and “Astro Baby” were the first two lava lamps that Edward and his wife Christine Craven Walker launched in 1963 and 1964 respectively. They were an instant hit and became one of the defining products of the swinging ‘60s appearing in cult TV series ''The Prisoner" and "Dr.Who". The principal function of the Lava®Lamp will be one hour "performances" beginning at dusk every evening and cycling through a complete event. The event would begin with a slow, rolling effect of the lava solids as they appear to slowly heat, shift, and position before transforming into the world famous shape mutations, gently rising and falling for several minutes then eventually subsiding and returning to rest at the bottom of the lamp until the next showing. The principal function of the will be one hour " " beginning at every evening and cycling through a complete event. The event would begin with a slow, effect of the lava solids as they appear to slowly heat, shift, and position before transforming into the world famous shape mutations, gently rising and falling for several minutes then eventually subsiding and returning to rest at the bottom of the lamp until the next showing. Which of the following 3 characteristics apply to the lava lamp? A lava lamp (or Astro lamp) is a decorative novelty item, invented by British accountant Edward Craven-Walker in 1963. The lamp contains blobs of colored wax inside a glass vessel filled with clear liquid; the wax rises and falls as its density changes due to heating from an incandescent light bulb underneath the vessel. The appearance of the wax is suggestive of pāhoehoe lava, hence the name. The lamps are designed in a variety of styles and colours. The lava lamp is a decorative novelty item, invented by British accountant Edward Craven-Walker. The lava lamp was invented in 1968. The lamp contains blobs of colored wax inside a glass vessel filled with clear liquid. The appearance of the wax is suggestive of Pāhoehoe lava, hence the name. You have reached the end of this course. If you answered all the questions correct, you will now have a basic understanding of the history and working of the lava lamp. Click on the 'Home' button to go back to the home page and click on 'Finish' to get an overview of your result. After that you can close the course.